Healthcare analytics is the branch of analysis that focuses on offering insights into hospital management, patient records, costs, diagnoses, and more. The field covers a broad swath of the healthcare industry, offering insights on both the macro and micro level. When combined with business intelligence suites and data visualization tools, healthcare analytics helps managers operate better by providing real-time information that can support decisions and deliver actionable insights. For hospital and healthcare managers, healthcare analytics provide a combination of financial and administrative data alongside information that can aid patient care efforts, better services, and improve existing procedures. 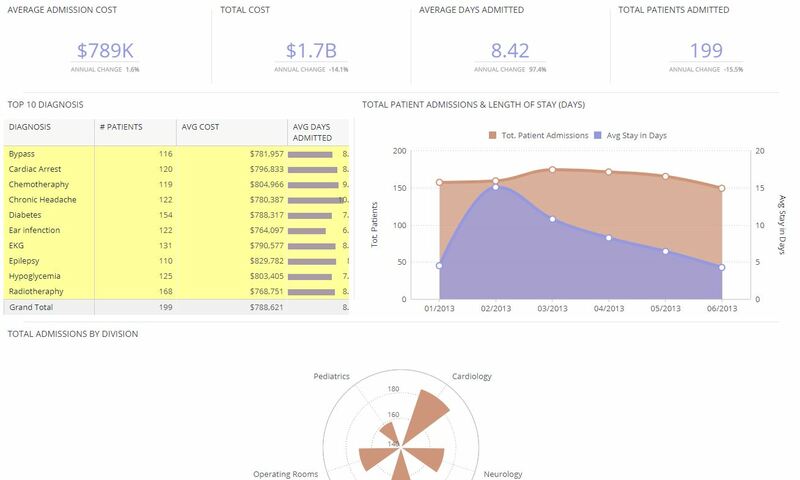 Healthcare BI suites tend to emphasize broad categories of data for collection and parsing: costs and claims, research and development, clinical data alongside patient behavior and sentiment. The first category assists administrators with identifying areas to streamline operations and increase savings in a concrete fashion. Research and development are crucial aspects of healthcare, providing new innovative solutions and treatments that can be properly tracked, measured, and analyzed. Clinical data is vital for administrators to determine what areas of their service need to improve, and offer more granular information regarding treatment effectiveness, success rates, and more. Finally, understanding what patients and clients are feeling and how they react to service and treatment is critical when working towards extending ever-improving services. How Can I Use Healthcare Analytics? Deploying a healthcare analytics suite can help healthcare providers improve upon several areas of operations. One major area where using analytics can optimize efforts is managing hospital and foundation donations and grants. For many healthcare providers, donations are the basis of their yearly budgets, so organizing and tracking expenses and activity is vital for setting appropriate goals. 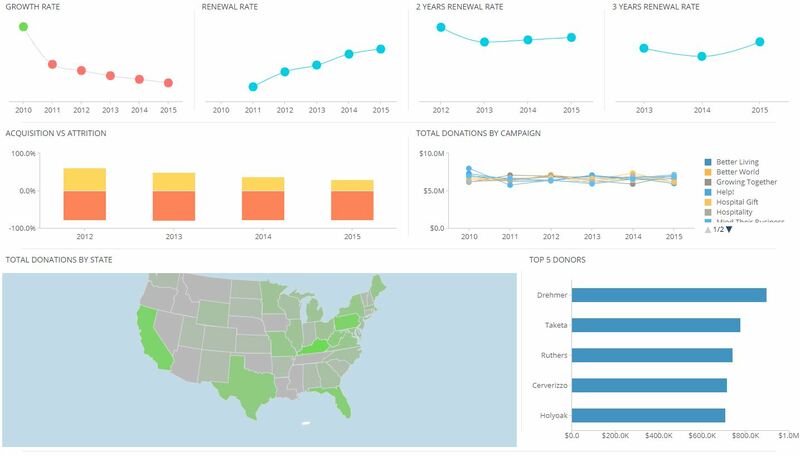 Moreover, it can help track donor engagement, retention, and previous contributions. Another area that can be problematic for hospital administrators is scheduling that advances the best success rates. In this situation, healthcare analytics allows hospitals to track physician records, patient histories, and needs to ensure the right doctor or professional is deployed to the patients most in need. Additionally, these systems can help improve patient satisfaction and expedite the healing process. 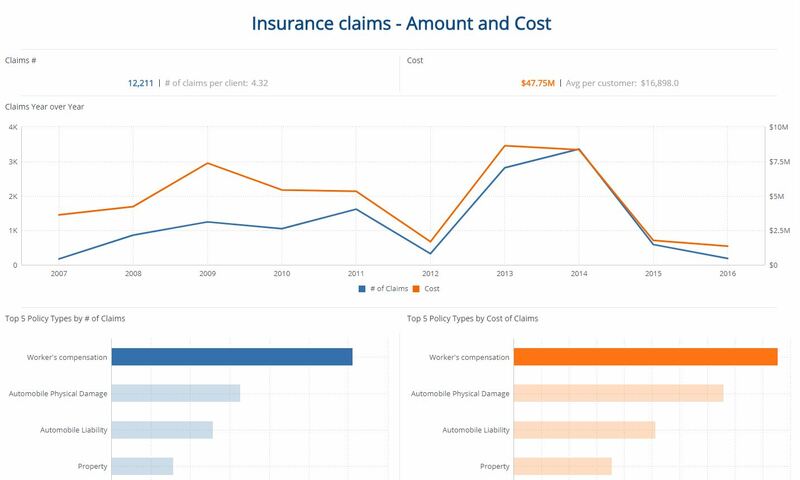 For insurance companies, healthcare analytics suites provide an easier and more granular approach to track existing claims, clients, and premiums. With better real-time measurements and historic visualizations, insurance companies can adjust policies, monitor open claims, and present better prices for services.